Previously published on October 26, 2014, a few musings on Halloween, sin, disease and death. For other truly terrifying Halloween-related issues, see my October 31, 2012 post on the Protestant Reformation. IMPORTANT NOTICE: I am suggesting that you avoid downtown this Saturday. The now annual Zombie Walk Contest and Race is happening throughout most of the day and into the night. It is a gruesome and very frightening affair for young children. I do not want these awful images living in your children, or coming into the classroom. Young children trust that the world is true. They take fairy tales to heart in a real way recognizing archetypal truths. A child can be told that something is pretend, then parrot that back to the adult. The truth for them is more that everything they encounter is real and they are in some way part of the encountered things or events. Please shield your children from this zombie nonsense while they are so young, receptive and imitative. You could easily replace zombie with any number of things, as it is not just fairy tales that children take to heart in very real ways. They are quite observant little creatures and you should be mindful of the behavior you are modeling as well as what you say. 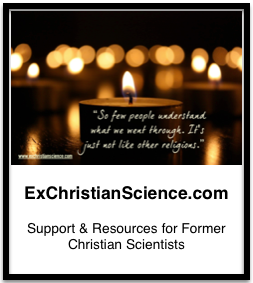 I am not going to expose my children to the Christian (or Christian Science) notion of sin. The idea that without God they are nothing is harmful, the idea they are born sinners is ridiculous, the complex dogma that has grown around the mythology of a 2000 year old Jewish carpenter who may or may not have existed, and that has been translated and reinterpreted numerous times is not something I plan to expose my children to until they are old enough to realize it is a story, just like the stories of Zeus and Hera in Greek mythology, or the numerous other stories explaining creation. Disease is a tricky one, there is a line between exposing children to things they are not ready for, and acknowledging that they are not feeling well. I am not going to tell my children about the Ebola outbreak in Africa (that would worry them unnecessarily), but I will comfort them when they are congested and can’t sleep well at night. When the children have questions, I will do my best to answer them in an age-appropriate way: Kid1 saw a photo of some men in hazmat suits cleaning up after some ebola victims and asked what was going on. My husband explained the men were wearing “special suits, like firemen wear” and they were “helping people” — both of these things were true, and Kid1 was satisfied with the answer. I’m sure my answers will change as they grow older, by then I hope to have gained more insight into how to answer difficult questions. An illusion, for there is no death; the unreal and untrue; the opposite of God, or Life. Ms. Eddy goes on to rail about matter, unreality and the flesh, and I lose interest. Ms. Eddy and I live in two very different worlds: Ms. Eddy has returned to the universe, and I am still here. The children have asked a few questions about death, and I have tried to be honest with them. No, [the deceased] is not coming back. We will only see them again in photographs (and possibly on video), we will always have our memories of them, and we can honor their memories by living a full life. When they are a little older, I will share with them the piece from NPR’s All things Considered: Planning Ahead Can Make a Difference in the End that talks about why you want a physicist to speak at your funeral. I will also share with them the piece by Rev. Michael Dowd, Death: Sacred, Necessary, Real, which beautifully touches on the theme of the positive role of death in the Universe without being creepy. Young children trust that the world is true. The children have already been exposed to “zommies” — they’ve watched my husband play Minecraft, but those are very different than zombies walking down Main Street, SmallTown USA. 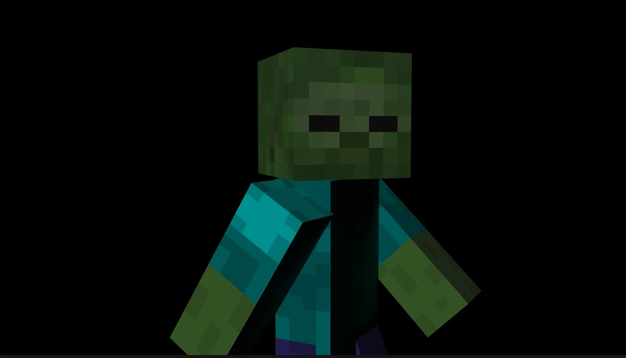 They know the zommies in Minecraft aren’t real, that would be silly, the world is not made of pixelated bricks! Why do they know these things? Mommy and Daddy told them so, and they’ve seen for themselves — they don’t look like Minecraft characters. There is the grey zone, with things like Santa Claus, and angels — I’m still sorting out how to deal with those, but I feel quite strongly that I will not pile upon my children the burden of nonsense that sin, disease, and death are somehow their fault. I will not fill their nightmares with images of zombies, the false idea that sin brings sickness, or the confusing mental gymnastics required to pretend to comprehend unreality of matter. * I’m being sarcastic there. I don’t have any problems with Halloween, but I do feel it can be a Bit Too Much for small children so we stick with very low-key celebrations.